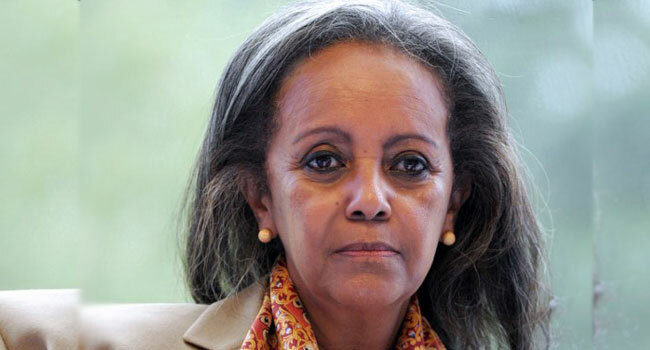 File photo of Ethiopian President Sahle-Work Zewde. Ethiopians are less likely than anyone else on Earth to have access to a decent toilet, a new study said on Friday. Charity WaterAid found Ethiopia leads the world in toilet scarcity with 93 percent of Africa’s second-most populous country lacking a safe lavatory. Instead people must defecate in the open or unsafe latrines, aiding the spread of diseases such as diarrhoea. The report, released ahead of the UN’s annual World Toilet Day, found that 2.3 billion people worldwide lack a loo at home, including 620 million schoolchildren. “This is just appalling because this not only threatens their health and education and safety, but it also threatens their future,” said WaterAid’s campaign director Savio Carvalho. The lack of toilets can have deadly consequences, particularly for pupils. Nearly 140,000 students are killed by diarrhoea and other diseases each year, while another 289,000 children die from illnesses caused by poor sanitation before they even enter a classroom, the report said. Located in the drought-prone Horn of Africa, Ethiopia has seen its economy grow at some of the continent’s fastest rates in recent years, yet still struggles with widespread poverty. Compounding its troubles are a series of ethnic clashes that have displaced 1.4 million people since the start of the year, the highest number in the world. The ethnic conflicts together with flooding and lingering drought have made 7.9 million people reliant on food aid, UN and Ethiopian disaster planners estimate. These crises have also exacerbated toilet scarcity, Carvalho said, as the government shifts resources from sanitation development to emergency relief. “When there is a conflict in any country, where it’s internal or outside its border, the pace of development slows down,” he said.